If you already have an account with New Wave, there are several ways to place an order (see below). If you are a new customer, please click the 'new customer' link on the sub-menu above to set up a new account. For wild fish and shellfish and fresh seasonal produce, phone Monday to Friday between 8am and 4.00pm on (01285) 715160, at least a day before you want the seafood delivered. This way, you can discuss your requirements with our sales team and they can confirm availability. 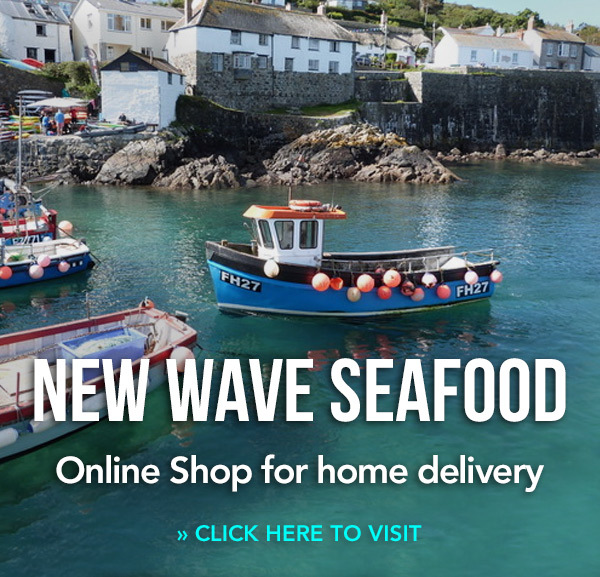 For farmed fish and dry goods/chef’s essentials, either phone during office hours (as above), or for your convenience after 4pm and at weekends you can leave a message on our answerphone, e-mail your order on sales@new-wave.co.uk, or fax it on (08701) 916093. If you would like advice before you order, we're more than happy to advise on portion cost, what's in season and special offers. Just give us a call. Please state how you would like the fish prepared, e.g. descaled, filleted and pinboned, skinned and trimmed. When appropriate, advise us on any specific delivery instructions. If you leave a message on our answerphone, or order by fax or email, and we don't have the stock you require we will supply a logical replacement whenever possible and will always call you in the morning to notify you of any shortage or replacement sent. While we endeavour to meet all orders, there can be availability issues and price fluctuation on some species. There are rarely availability issues with our frozen and smoked fish and our range of speciality foods.